While owning and living in a listed building may be a quaint dream for some of us, they do come with a fair amount of constraints, restrictions and headaches when it comes to undertaking repairs, renovations or even selling items held within them. Many an owner of a large stately home has found himself on the wrong side of the law after selling paintings or sculptures from the listed family home. This is because along with the building which may be listed, objects inside – chattels or fixtures – may form part of the listing or may in fact be listed themselves in their own right. Additionally objects within the curtilage of the listed building may be included in the listing. This is precisely what happened to Mr Dill who in 2009 sold at auction two early 18thcentury limestone pillars topped with contemporary lead urns. 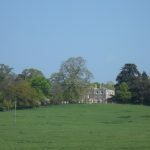 These pillars were listed in their own right separate to Mr Dill’s Grade II listed residence, Idlicote House (pictured above). These pillars and urns moved house repeatedly by Mr Dill’s father and were only listed in 1986. Unfortunately Mr Dill was unaware that they were listed and sold them without seeking the requisite listed building consent from the council. Their removal was noticed by the district council in 2014 who issued an enforcement notice for their return in 2016 as Mr Dill’s retrospective listed building consent was refused. Unfortunately, Mr Dill was unaware of their whereabouts and so appealed the refusal of the listed building consent. This appeal was rejected, first by an inspector and then in the lower court. He further appealed to the Court of Appeal who agreed with the findings of the lower court. As such, if a building/object appears on the list of listed buildings then it is assumed to be there for a reason, even if it is not a ‘building’ in the true sense of the word. It effectively becomes a building for the purpose of the list; definitions of a building in other contexts are therefore considered irrelevant. Owners of listed buildings should always consult the listed building list, easily available through Historic England, or the council conservation officer to ensure they know where they stand regarding their listed building. Counsel for Mr Dill in this case, Richard Harwood QC OBE of 39 Essex Chambers, will be leading a session on listed buildings and scheduled monuments for our Diploma in Art Profession Law and Ethics this spring. There is still room to sign on to this course if you are interested. The accompanying photo is of Mr Dill’s residence, Idlicote House, taken by Michael Dibb CC-BY-SA 2.0. This entry was posted in Heritage, Planning, United Kingdom and tagged consent, country house, court, court of appeal, dill, england, estate, house, law, listed building, pillar, rebecca reynolds, richard harwood, uk, urn on January 16, 2019 by Rebecca Reynolds.